I am slowly realizing that as my children grow older, my life will not ever be the way it used to be. Well, not until they've grown up and moved out. It seems that every day we have something to do and somewhere to be...this is taking some getting used to for me. I have always been sort of a homebody. I love to be home. Lately, I'm not really spending much time at home, but I am spending a lot of time with my children and that makes me a happy mom. I really wish every day was summer break. I will dread my children going back to school. Here's a look at what we've been up to the last month. 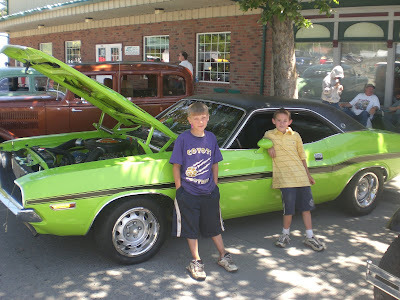 On the way back from the Fathers & Sons camp out, the guys stopped at a car show. I love this picture because Ethan looks like he owns that car. He wishes. Pigs. Look at how huge they are now. 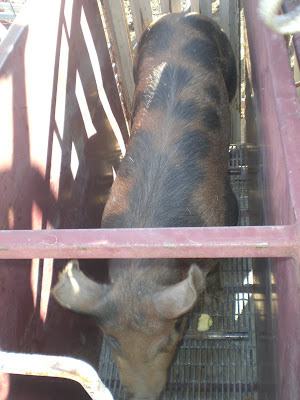 No more cute little piggies. They totally eat like...well, you know...pigs. Fair is just a little more than a month away. Mom's pool. We're there almost every day. It's perfection. 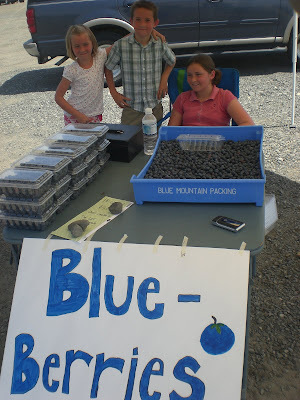 The kids have been working very hard picking, packing and selling blueberries. I hope they always remember this summer and the opportunity they have had to work hard. 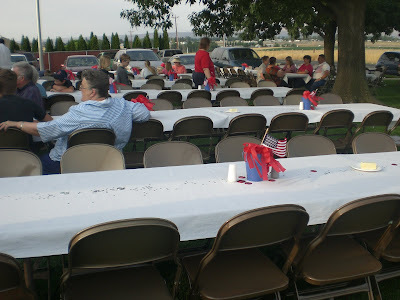 I planned and executed my first ward party on the 4th of July. 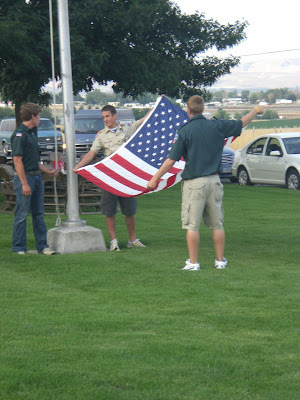 Our annual Independance Day breakfast. 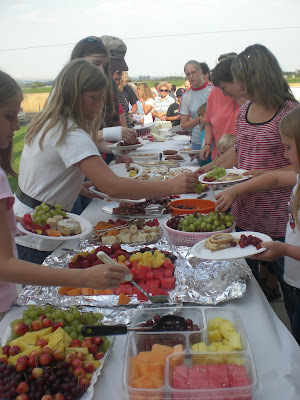 I was so worried about not having enough food, but we came out just right and I learned a lot for the next event... the 24th of July celebration. 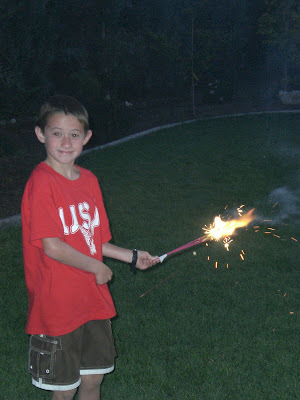 Instead of watching the fireworks at the river this year, we took advantage of the opportunity we have here in our little town to light off our own fireworks. It was kind of organized chaos with explosions going off here and there and everywhere, but man those kids (also read: dads) had a blast lighting fireworks and thankfully, no one got hurt. We hope to make that our new, permanent tradition. It was a blast! 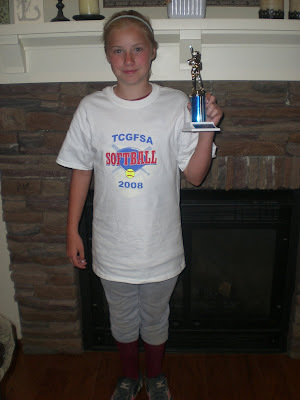 Jocelyn has played fast pitch softball for the last 5 summers and has been playing with the same team the entire time. They have always been a great team, even winning championships in the past. This season, they dominated the competition. They took first in the season with the best record (only one loss,) and the last two nights they have participated in a championship tournament and last night won the championship in a thrilling barn-burner game. It was so exciting. We went for ice-cream afterward. She deserved it. I really love being a mom, even if it means being crazy busy.